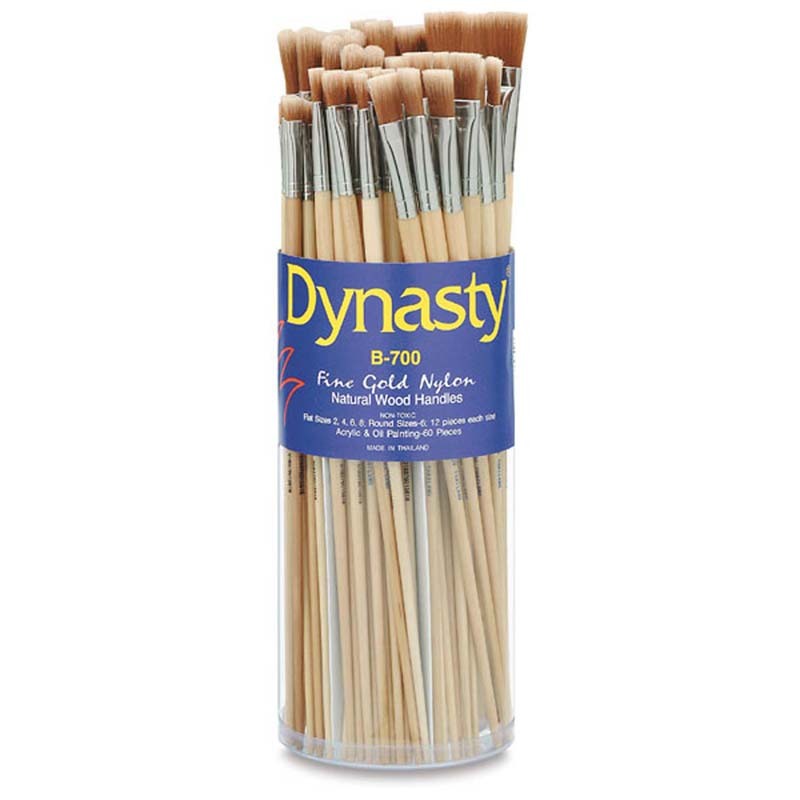 Short white birch, enameled handle black bristle easel assortment is great for tempera and acrylic. 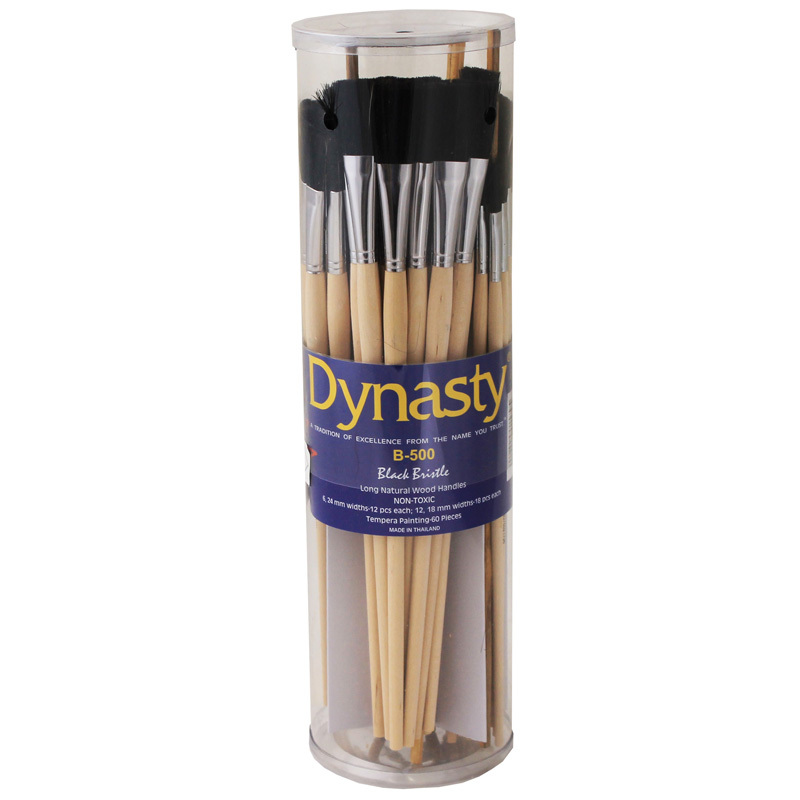 Each set includes 60 pieces, 12 each of flat 1/4 and 1, and 18 each of flat 1/2 and 3/4. 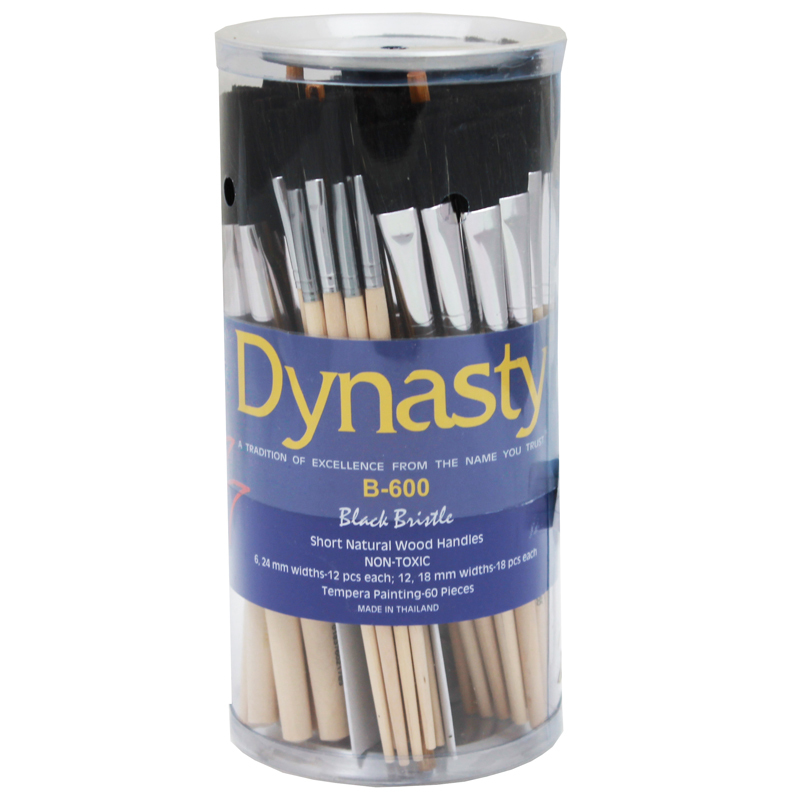 The B600 Black Bristle Flat Brushes60 Pc can be found in our Paint Brushes product category within the Arts & Crafts.